10+ Real Brides And Their Bridal Lehenga Twirls That Are #WayTooPretty ! This stunning red-gold bridal twirl. 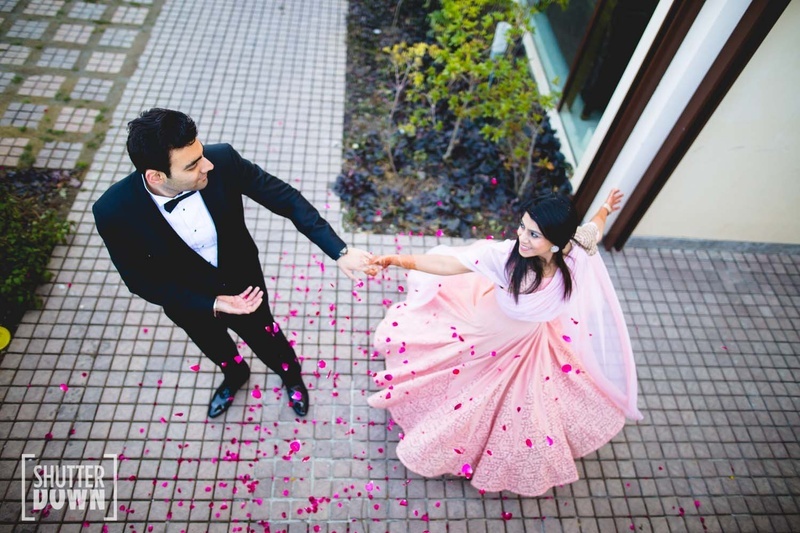 Saloni’s bridal lehenga twirl in her Shantanu and Nikhil lehenga in pink, black and gold. Swati and her gold Sabyasachi lehenga twirl with a statement border. This monochrome pink lehenga twirl that looks so pretty. Yamini’s twirl in a yellow and pink lehenga with silver embroidery. Mudha’s pastel pink and blue bridal lehenga twirl. This vibrant pink and orange lehenga twirl. Priyanka in her pink lehenga twirl with glittering gold elements. Ritu’s fun twirl in white! Utsavi’s white lehenga with a sheer red dupatta. Mugdha’s glittering gold lehenga is such a pretty vision! Ankita in another Asiana Couture bridal lehenga twirl. Priyanka in her pink lehenga by Asiana Couture. Sakshi’s elaborate twirl looks rather dramatic! Alysha in her stunning forest green lehenga with gold details. This bright orange and red lehenga. Yamini’s bright blue twirl with her better half.